Jacobean Oak's realistic texture and visual appeal work together to achieve the look and feel of real hardwood. 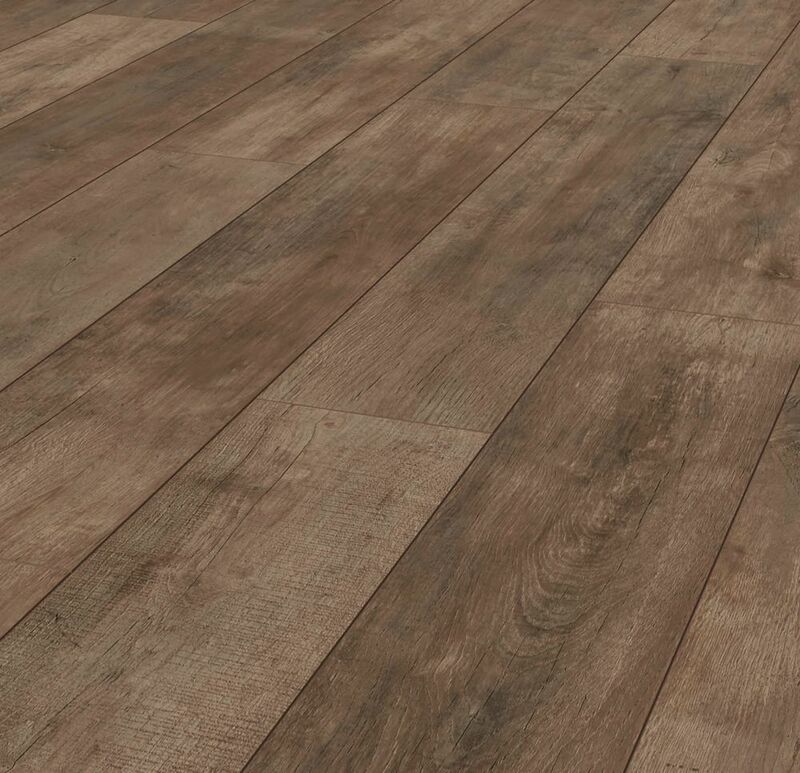 With a rustic, brown colour that complements any decor style, this laminate flooring is backed by a limited lifetime warranty and features a durable, ultra strong AC4 wear layer that protects against scratching, fading and staining. Appropriate for residential and commercial use, this design is easy to install in any home with its user-friendly locking technology. Dovetail Pine's texturing and cool gray coloration achieve the look of real hardwood adding beauty to any room. Its durable AC4 wear layer protects against scratching, fading and staining. Appropriate for residential and commercial use, it features a user-friendly locking technology for a quick and easy installation. Jacobean Oak 12 mm Thick x 8.03-inch Wide x 47.61-inch Long Laminate Flooring (15.94 sq. ft. / case) Jacobean Oak's realistic texture and visual appeal work together to achieve the look and feel of real hardwood. With a rustic, brown colour that complements any decor style, this laminate flooring is backed by a limited lifetime warranty and features a durable, ultra strong AC4 wear layer that protects against scratching, fading and staining. Appropriate for residential and commercial use, this design is easy to install in any home with its user-friendly locking technology. Jacobean Oak 12 mm Thick x 8.03-inch Wide x 47.61-inch Long Laminate Flooring (15.94 sq. ft. / case) is rated 4.8 out of 5 by 11.